Town officials were stunned to discover this month the Woodbury Water Department was out of compliance with the Tennessee Safe Drinking Water Act. 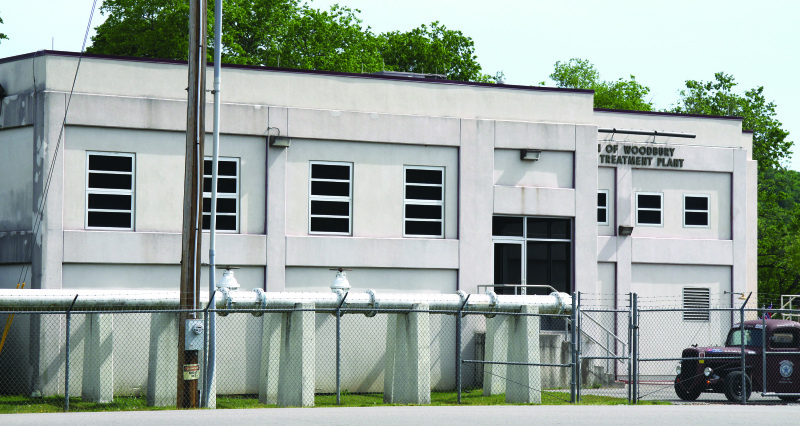 "The Woodbury Water Department has had multiple violations for failure to perform bacteriological monitoring, failure to record and report turbidity monitoring, failure to maintain chlorine residual leaving the plant, failure to distribute Consumer Confidence Reports and a non-acute total coliform maximum contaminant level violation," said Jessica Murphy, manager of the Tennessee Compliance and Enforcement Unit, in a certified letter to Mayor Harold Patrick. That letter was a preview of a legal notice from Tisha Calabrese Benton, director of the Tennessee Division of Water Resources. That bit of news was a shock to Patrick and Board of Aldermen members, including Vice Mayor Charlie Harrell. The surprise was expensive and came as hard news for a Water System that was judged as one of the best in the nation a few years ago. "Our status now is that we have paid a little more than $6,000 in fines," Mayor Patrick said. "It (the fine) was $27,000 put we managed to get it down to $6,000." The violations date back as far as 2006, 2007, 2012 "with too much turbidity in the water, not reporting what we are supposed to report," the mayor said. "The bottom line was we didn't know anything about it," Patrick said. "What I want people to know above all now is that we are now producing quality water. We're doing everything we're supposed to do," added Vice Mayor Harrell. Notifications from the state went directly to Alan Paschal, who was public works director. Paschal is no longer a Town of Woodbury employee. "But now that we have a new guy, Ray Hunt, who works at CUD in Murfreesboro. He's working two days a week with us and he's up here to make sure that we produce quality water and that we are sending out reports to where ever they need to be sent. He's top of the class. He knows what he's doing and he's licensed and he is working with us two 16-hours days a week to make sure we are where we should be and our water is drinkable," Patrick said. "We're good right now, but what we have to do hire somebody now that Alan Paschal is gone who knows something about water and can produce good drinking water. That's the bottom line. We are producing good water and we are in compliance," he continued. Apparently it was Paschal's lack of attention or slowness to act that resulted in two major causes of the reports from the state. "First, they didn't send out the reports and then there's the question of turbidity, which they didn't notice or overlooked," Patrick said. "The water coming in out of the source ... the first thing it does is go through filters that are supposed to remove all the foreign matter (turbidity) before the water is treated with chlorine. We don't know for certain, but I feel like we've always produced quality water," Harrell said. The Woodbury Water System was also slow in producing its annual CCR (consumer confidence report). The CCR must contain information for its customers on the quality of water delivered by the system plus report any risk from exposure to contaminants. Other problems included a failure to report monthly cryptosporidium samples. A cryptosporidium infection caused by tiny can produce a bout of watery diarrhea. The water system also failed to monitor Total Organic Carbon in both source water and in treated water. TOC is the amount of carbon found in an organic compound and is often used as a non-specific indicator of water quality. Letters regarding those problems were sent to Paschal. Either he didn't do anything or he took them down to the treatment plant and they either did or didn't take any action, the mayor said. "We don't have a paper trail, that's a problem," Patrick said. "It was a failure to report not necessarily the problem was there," Harrell said. Another major problem reported by the state was leaks at base and first and second ring joints of the Parker Hill water storage tank. Letters were mailed to Woodbury's Water Department in 2012. 2014 and 2016 regarding the leaks. "We've got six months to fix the tank on Parker Hill, but the other corrections must be done immediately," Patrick said. The Board of Aldermen also must act to hire a qualified replacement for Paschal. "We have taken care of the problem, but it's our duty to make sure the problem stays taken care of," the mayor said. "We have two operators undergoing certification training right now and that will ease the responsibilities faced right now by part-time director Ray Hunt," he continued. Hunt is a Cannon County resident. The next step is filling the top management position. "We already have several applicants, but just one (Hunt) with the certifications required for the job," Patrick said. "You just can't hire anyone for that position. It is very complicated and requires training and expertise."